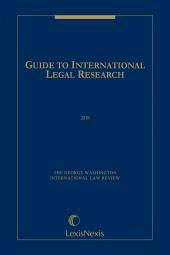 The Guide to International Legal Research is an authoritative and comprehensive reference tool for law students and practitioners. 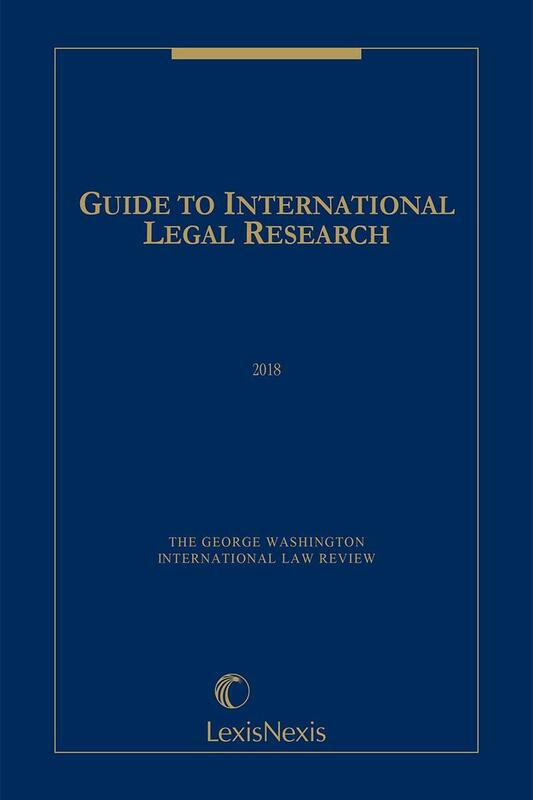 Authored annually by The George Washington International Law Review, the Guide is designed to assist both novices and professionals with their international legal research. 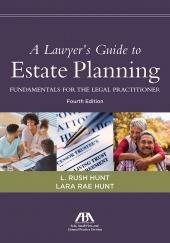 Following an introduction by Professor Christopher J. Borgen, the Guide is organized into two parts. In the first part, chapters are divided by regions. Each regional chapter includes an overview of the geopolitical climate in that region and lists government resources, legal resources, media resources, and resources by topic. Where appropriate, these sources are subdivided by country. Many of the chapters discuss general multi-national organizations as well as international trade organizations and agreements that are specific to the region. 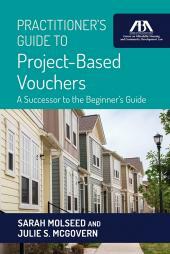 The Guide also provides an overview of what each source covers and how it can be most effective. 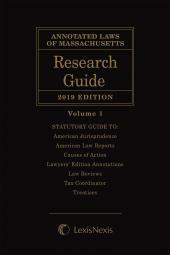 The second part of the Guide covers substantive areas of international law, including general international law, public health law, space law, human rights law, group rights, intellectual property, international trade, international business transactions, tax law, environmental law, labor law, and international security law, among other topics. Much like the regional sections, the substantive chapters begin with a section on international governance followed by a section on secondary sources pertinent to that subject area.